The Union Home Minister Shri Rajnath Singh has said that his Ministry is exploring the possibility of expanding the Student Police Cadet (SPC) Programme, a school based capacity development initiative of the Kerala Police, at the national level. Inaugurating the 'India First-Annual Day Celebration of the SPC Programme in Thiruvananthapuram today, Shri. Rajnath Singh said the Student Police Cadet Programme provides for a comprehensive development of the child, something on which the Centre has been keenly focusing. The Minister pointed out that inculcating values, skills, and attributes necessary to function as successful citizens in today’s fast-changing, globalising and competitive world is critical. At the same time strengthening the good Indian values of universal brotherhood, patriotism, truth, and the ability to place the community or the country’s interest above that of one’s own is very important, Shri. Rajnath Singh said. The Union Home Minister said that his vision for the youth of India is that they will have the best of opportunities in the world to express their talents and realize their dreams. They are truly empowered to lead this country and the world with confidence and grace. Shri. Rajnath Singh said it shall be the endeavour of government to ensure that our youth are provided with the best of opportunities. Kerala State Home Minister Shri. Ramesh Chennithala, Education Minister Shri. P.K. Abdu Rabb were also among those present on the occasion. The Union Home Minister Shri Rajnath Singh has called upon the police force to make use of technology smartly and sensibly as an instrument of peace as well as a force multiplier. 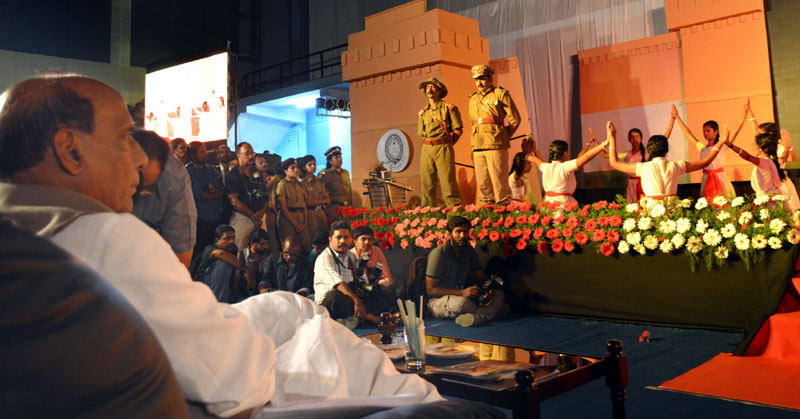 He was inaugurating a National Community Policing Conclave at Kovalam near Thiruvananthapuram in Kerala today. The Minister said that the social media can tremendously empower the police in fostering police–community relationship, taking it to a new heights of communication and building of trust between the police and the people. He however cautioned that the use of social media by the security personnel needs to be done in a controlled and disciplined manner. Shri. Rajnath Singh said that while community policing should be the guiding principle of police forces, prime focus should be given to building relationships. The police need to work hard every day to earn that level of trust and respect which helps them in bridging the gap between police and public, he added. Stating that police force should act in close association with the community, the Union Home Minister opined that community policing system should be institutionalised in the police force across the country in an effort to bridge the gap between the law enforcing agencies and the public. The efficacy of any police force lies in its relationship and engagement with the local community. He noted that internet and social media have completely changed the way policing was done in the country. Speaking on the occasion, Kerala Home Minister Shri. Ramesh Chennithala noted that the community policing initiatives of the state government had helped to reduce the crime rate in the state. The theme of this year’s conclave is “Smart Connect”. The two day conclave will deliberate and come out with concrete recommendations and guidelines for policy making with regard to community policing as an effective tool to combat radicalization, human trafficking, Left Wing Extremist issues and enhancing coastal security. It also focuses on SMART initiatives in community policing and community policing as a core policing strategy.